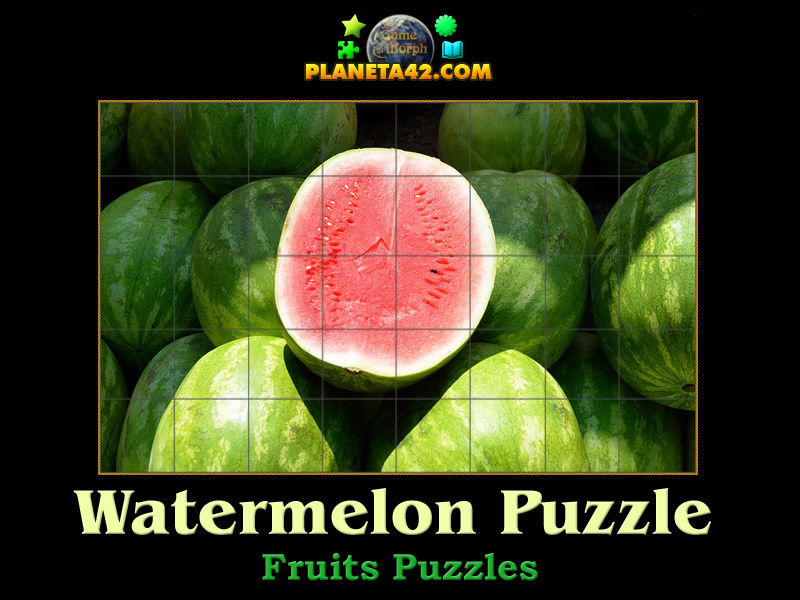 40 pieces watermelon fruit puzzle. 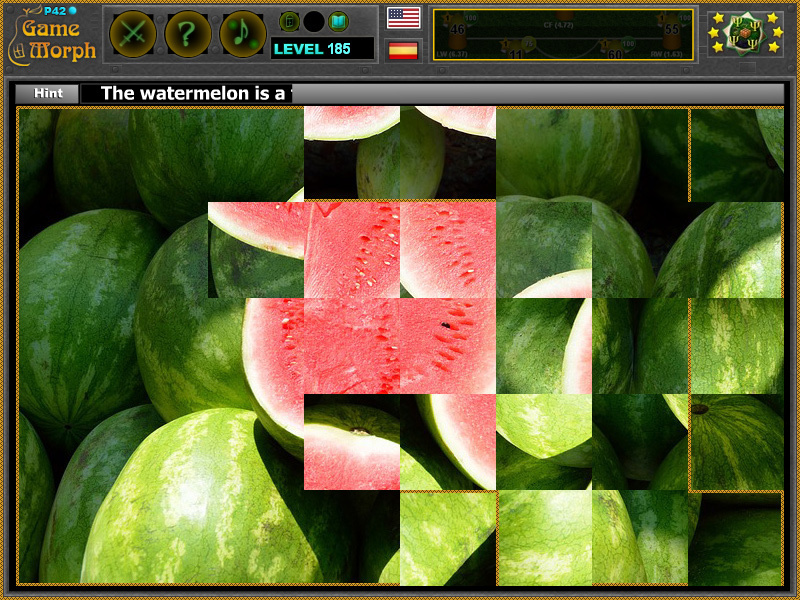 "Watermelon Puzzle" is a free online puzzle with a picture of Watermelon fruit at close view. The watermelon is a flowering plant that originated in northeast Africa, where it is found growing wild. The game will run in most web browsers on average desktop computers, laptops and tablets. This is an exciting way to find out how Watermelon looks like. Click on a square to rotate it, until it fits its position in the puzzle picture. Winning the game online rewards +1 Knowledge Level on planeta42.com website. Labels: Fruit Puzzles , Games with Fruits , Online Puzzle , Online Puzzles , Free Online Games.